Whenever we get some new interns (or employees), we’d like to introduce them to our way of working in a special way.We’ll start a project on day 1 and finish it on day 2, then we publish the result on the play-/app-store by the end of day 2. Why do we do this? Well, it’s fun to create games! A lot of interns especially never experienced launching a game, or build them from Start to Finish. So we like to show them how such a thing is done in reality. This also helps getting them up to speed with our workflow. Below are the last projects we’ve worked on. Give them a try! They’re all available for download on the play-store. A small game for small children we designed with our new interns. The game is simple and very happy. 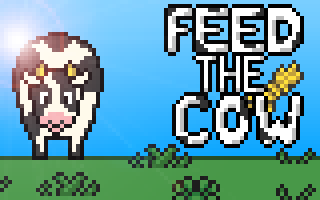 An ideal game for those little ones with a love for farm animals! Another game we made with a fresh batch of interns. This time no game for toddlers though. In this game you have to (gently) drag Mr.Fried the Fish away from the bombs and last as long as you can!